Dina  Gorby announced today the  launch  of  S.A.F.E. 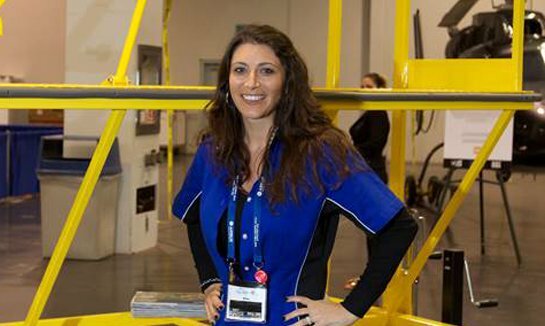 Structure Designs, a  fully woman-owned company specializing in the custom design, engineering, and manufacturing of SAFE aircraft access platforms, fall protection platforms and maintenance support equipment. “S.A.F.E.”  represents the industry’s SAFEST ACCESS & FALL PROTECTION EQUIPMENT. With a world-class design and engineering team, along with close relationships at a wide range of manufacturing facilities strategically located across the U.S. and overseas, Gorby is ready to pursue an expanded vision. Years of working alongside aircraft mechanics has made Gorby aware of their immense need for “S.A.F.E.” maintenance support type of equipment. In too many cases, economic pressures and budget cuts have restricted mechanics from being able to purchase the proper access platforms, fall protection platforms, as well as, all types of hangar equipment needed for working safely and efficiently to keep their aircraft fully operational. With S.A.F.E. Structure Designs, Gorby aims to assist these maintenance workers within their company budget, delivering enhanced safety to the entire military and civilian aviation community at a highly competitive cost. Through her highly efficient design and engineering team, in house prototype fabrication abilities and her alliances with diverse manufacturing facilities, Gorby is well prepared to realize savings across the board. These savings will be passed on to her customers, who will also benefit from the company’s talented and experienced customer service team. Although S.A.F.E. Structure Designs is grounded in Gorby’s extensive experience in the aviation industry, the company will also be targeting other sectors outside of aviation that have similar needs. For more information, contact Jenna at Sales1@safe-2.com.